Providing you the best range of gas fired hot water generator, agro waste fired hot water generator, wood fired hot water generator, oil fired hot water generator and coal fired hot water generator with effective & timely delivery. We offer two types of Gas fired Hot Water Generator; three pass, coil type, gas fired hot water generator for process industries & two pass, shell & tube type, gas fired hot water generator for hotels, laundry, hospitals etc. Our gas fired hot water generator has applications in various types of industries like automotive, chemical, pharmaceuticals, food processing, laundry, hotels, hospitals, textile etc. where hot water is required for indirect process heating purpose & LPG or Natural Gas is available in the installation region. 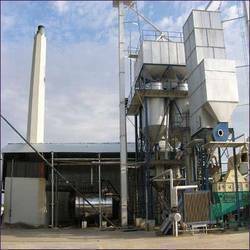 Our firm is a widely acclaimed exporter and manufacturer of Agro Waste fired Hot Water Generators. The offered generator utilizes the agricultural and organic waste products for powering the engine. Our offered generator is widely known for high water flow rates and easy operation. The offered generator provides exceptional fuel cost savings and safe thermal environment. Our offered generator is a low maintenance machine. Fuel suitability: Agro Waste Briquettes, Bagasse, Biomass etc. Our agro waste fired hot water generator has applications in various types of industries like automotive, chemical, pharmaceuticals, food processing, laundry, hotels, hospitals, textile etc. where hot water is required for indirect process heating purpose. 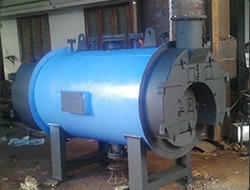 We are one of the well-known exporters and manufacturers of Wood fired Hot Water Generator. The offered hot water generator is fueled by the wood varieties such as sawdust, wood pellets and firewood. Our offered generator is widely known for the cost effective operation, owing to the easy availability of wood fuel. The offered hot water generator is known for the mechanized water heating process, on a wide temperature range. 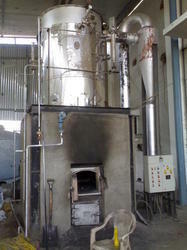 Our wood fired hot water generator has applications in various types of industries like automotive, chemical, pharmaceuticals, food processing, laundry, hotels, hospitals, textile etc. where hot water is required for indirect process heating purpose. We offer two types of Oil fired Hot Water Generator; three pass, coil type, oil fired hot water generator for process industries & two pass, shell & tube type, oil fired hot water generator for hotels, laundry, hospitals etc. Our oil fired hot water generator has applications in various types of industries like automotive, chemical, pharmaceuticals, food processing, laundry, hotels, hospitals, textile etc. where hot water is required for indirect process heating purpose. We are humbled to declare ourselves as the exporter and manufacturer of Coal fired Hot Water Generator. The offered hot water generator is fueled by the mineral of fossilized carbon, to heat the water for industrial applications. 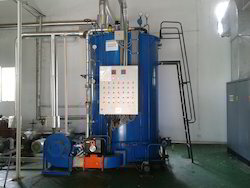 Our offered hot water generator is capable of producing medium to high temperature water, for the suitability of various specific industrial needs. The offered generator is known for economic installation and fitment. Our coal fired hot water generator has applications in various types of industries like automotive, chemical, pharmaceuticals, food processing, laundry, hotels, hospitals, textile etc. where hot water is required for indirect process heating purpose. Looking for Hot Water Generators ?